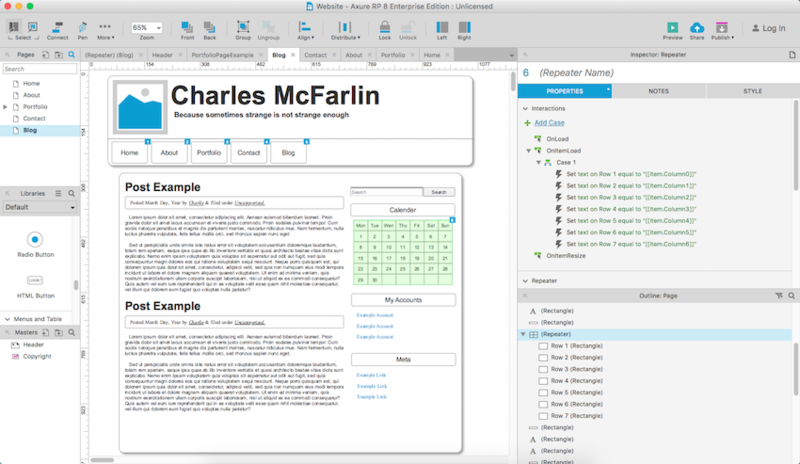 This is a wireframe version of my website I made with Axure RP. If you would like to get a look at the website you can either click on the image or click the link here. This was my first use of Axure and I feel like I did well for my first piece.